Remanufactured ink cartridges are simply ink cartridges that have gone through a 'remanufacturing process' and been recharged with new ink. During this process, every ink cartridge is thoroughly cleaned and filled with quality ink. Furthermore their internal pressure checked to ensure it is correct and will ultimately last longer. The next step is testing. The cartridges are trialled to see if they function well so they won't leak or clog. When these ink cartridges have successfully passed the checks of quality control, they are then considered as remanufactured. These cartridges are also known as recycled ink cartridges. 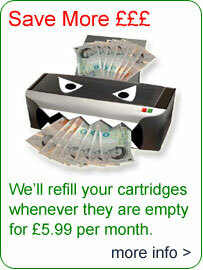 The chief advantage of recycled ink cartridges is they present a huge economical saving to the consumer. Remanufactured ink cartridges cost less than new OEM (Original Equipment Manufacturer) cartridges. The price differences can be astonishing despite a lack of difference in printing quality. Another benefit is the impact on the environment. Every year millions of ink cartridges come to rest in landfills, causing major pollution problems. While remanufactured ink cartridges are not biodegradable, the consumer will inevitably use them more than once. Furthermore recycled ink presents new opportunities in the business sector. The demand for ink has been constantly increasing, giving new enterprises a chance to flaunt their green credentials without sacrificing their advertising quotas or other printed documents. This in turn provides more jobs, boosting the economy on the whole.